When You Want “clean” that’s “truly clean”- Then Experience The Eco Cleaning Services! 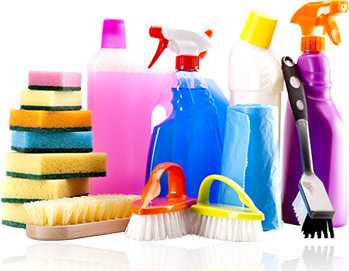 Here at Eco Cleaning Services, Inc., our objective is on the delivery of high-quality cleaning services and uncompromised client satisfaction. Everything we do is focused on meeting and even exceeding your service expectations – Every Time! When it comes to high quality, cost-effective maintenance and cleaning services, we are well aware of the needs of REO property owners, Property Managers, Banks and Real Estate Agents. That’s exactly what we are here to provide. We offer unrivalled property cleaning, Foreclosure Cleanout, Demo Clean-outs, Rental Clean-outs, Commercial Clean-Up, Construction Site Clean-Up, Trash Out Renovation and Home Renovations services across Toronto and the GTA, including Brampton, Mississauga, Burlington, Oakville, Vaughn, Etobicoke and even further afield. We specialize in cleaning out of commercial and residential foreclosed or abandoned properties. With us on your team, you’ll be able to put your property back on the real estate lease, rental or sale market in record time. And if you need help cleaning out your yards, storage units, attics, lockers or basements of old or unwanted possessions, then Eco Cleaning Services, Inc. is here for you too. Property Management Professionals: When unwanted items are left behind by previous tenants, we’ll help you clean it all up! As an eco-friendly company, Eco Cleaning Services, Inc. will ensure that all of the unwanted items we clean up are disposed off in an environmentally friendly way, and in accordance with all prevailing Federal, Provincial and Municipal statues and by-laws. Eco Cleaning Services, Inc’s Cleanout Division serves as a one-window service for all your REO cleanout needs. We’ll clear, clean out and renovate your property so you can promptly put it up for lease or resale. In addition, our janitorial services and property restoration operations are supplemented by a broad array of property maintenance services that we offer our clients. So, for removal of all your REO junk, REO clearouts, Foreclosure cleanout, foreclosure junk disposal and cleanup, bank foreclosure cleanups, REO cleanouts and other foreclosure cleaning needs – just call Eco Cleaning Services, Inc. and we’ll support you all the way! Free No Obligation quote and consultation – It’s FREE! We are a full-service Commercial Cleaning Company specializing in a full range of Building Maintenance services across Mississauga, Niagara Falls, Burlington, Oakville, Stoney Creek, Etobicoke, St. Catharines, Welland, Grimsby.